[1000 words]More warriors ran to catch up with Harris, many of the seasoned archers nodded toward Kamaria as they ran by … they all knew of her own amateur prowess. Many of them had offered her tips and revealed the secrets of the way of the bow. Kamaria stopped mid step as she realized that it wasn’t just warriors meeting the bandit force, but shopkeepers and merchants. Merchants like Talib, she thought. She knew everyone in the village needed to band together to defeat this new menace. Kamaria started to follow the defending force, but a large hand gripped her shoulder and prevented her egress. Kamaria nodded, and the patrolman whose name she couldn’t recall ran to meet his comrades in arms. Kamaria looked toward the impending battle once again and did what she was told. She found a pair of village warriors loading children into a cart with the village elder and her personal guard. Kamaria slapped away and scowled at the hand of the warrior attempting to assist her into the cart. Elder Akua looked to the upturned faces of the children sharing the cart. It was a sea of concern, quivering lips and eyes wet with fear. Elder Akua motioned with her eyes toward the scared children. “Our warriors will prevail.” The words were spoken with authority, as if the outcome were predetermined. Kamaria wasn’t satisfied. The words of the elder seemed hollow as the cart lumbered away from the village she’d been born in. The village, Talib and archery were the only things she knew. She felt betrayed again that day, not by a rival, but this time by her own people discounting her worth to defend the place that had given her so much. She was angry she’s been corralled with the children and forced from her village against her will. She looked around and determined to prove she was capable of fighting. “I’ll not sit here and be coddled like these babies,” Kamaria hissed and leveled her most defiant glare at the village elder. Kamaria leaned against the low side of the cart, rough-hewn wood making her quiver contents shift audibly. Her bow felt heavy, and she struggled to keep it upright. For the first time in as long as she could remember, Kamaria felt uncomfortable in the trappings of an archer. She even felt the title Archer undeserved. She fingered her bow and started calculating the time it would take to leap from the cart and run along the Dawn Road back to her village and the battle. The finality of the elder’s tone and word overwhelmed Kamaria’s resolve, but not enough to make her ignore the draw of the battle beyond – in her tiny village. “I do have faith in them, Mistress Akua, but I know I could help those on the battlefield. Wielding a bow and arrow, I’ll be away from worst of the fighting. I cannot believe that I would be discounted as an archer due to my age! There has to be something I can do to help!” Kamaria crossed her arms over her chest, convinced in her logical argument. Kamaria felt pressure on the side of her neck. Without warning, her arms and legs went numb. She was aware of her bow falling into the rabble of children clinging to each other. She plummeted toward the center of the cart and strong hands gently turned her over, and laid her down as her vision started to fade. The children made room for her numb body, and the last thing she saw before blackness was the elder’s withered features as she patted Kamaria’s cheek and whispered soothing, reassuring noises. “The gods demand it,” was the last thing she heard Elder Akua say before oblivion. 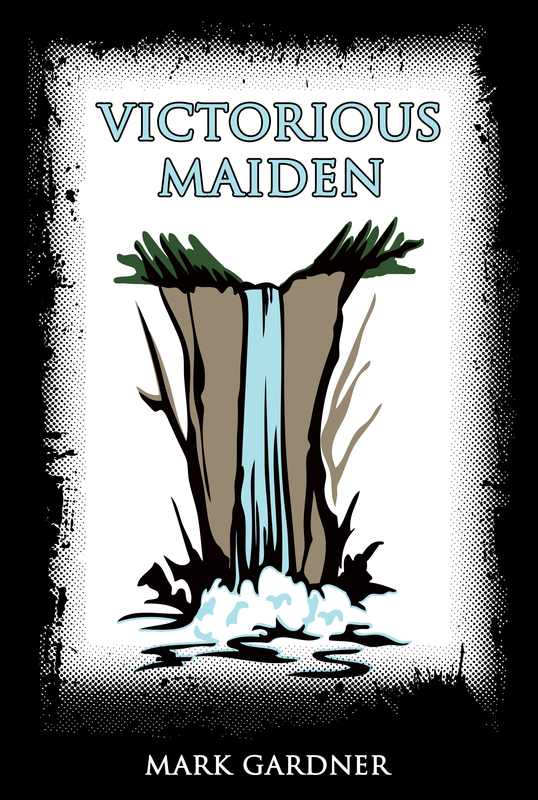 This entry was posted on Sunday, August 2nd, 2015 at 09:00	and tagged with Victorious Maiden and posted in fiction. You can follow any responses to this entry through the RSS 2.0 feed.